Oncomarks mission is to help our members to beat the odds of residency, fellowship, medical school, pharmacy school, dental school application process. Our goal is to educate and assist international/domestic undergraduates, medical students, and graduates in then field of health sciences to gain valuable scientific research knowledge and skills. Our experienced mentors in the field of research for more than 35 years will be willing to help improve your academic and professional skills while immersing you in the scientific research world. Whether you are a student or a professional, here at Oncomarks we are committed to addressing and improving your research-based skills. This is a great opportunity for individuals interested in scientific concepts, driven by research, and the evolving medical science. Through our various programs we intend to break any barriers of insecurities among individuals who require extra help in understanding or improving their working knowledge surrounding medical research. Furthermore, we intend to develop, create and provide an accessible educational platform to assist individuals and help them meet their career goals. The Oncomarks open-access journal is one of the primary benefits of our program that provides all of our members with an opportunity to publish their own original articles, abstracts, posters and other oncology or medical research-related works. Additionally, Our editorial team can closely work with you to suggest, advise or augment your manuscript to further benefit your research experience with us. Oncomarks provides our members with the professional expertise to learn or enhance any research-related skills required to advance in the field of Oncology research. Please visit our video gallery where we continuously update our library with some of our own tutorials as well as share some excellent resources of information from other experts in the field of Oncology and research. Accessing some of our programs here at Oncomarks, members will have the opportunity to learn, grow, and further our cause of education in Oncology and medical research. We hope to help individuals in a way where they can not only learn but also join us to teach and share vital knowledge among others who require the same help and understanding. Oncomarks realizes and understands the importance of how basic education can make a big difference in the fields of Oncology, Medicine and general-research itself. To further our cause, one of our primary goals is to educate underprivileged children by providing them with the basic building blocks and elements required to grow academically in this ever-evolving world of science. Join us now and help us make a difference. 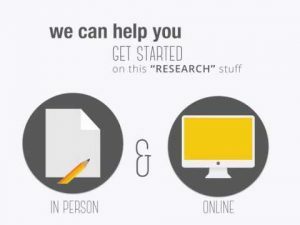 Get Connected With Expereinced Researchers. Volunteering & International Opportunities For Oncology Research.